Traditional Chinese Medicine Approach to Women's Wellbeing. Raised in North America, but trained in Traditional Chinese Medicine, it is Angela’s passion to help bring this ancient wisdom into the modern world making it easy to understand and integrate into everyday life. 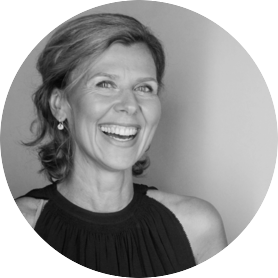 Speaker, writer, teacher and practitioner, Angela works with people to empower and educate them about their health and wellbeing with compassion, humor, soul and as much joy as possible! Angela Warburton offers her FREE eBook: Using Food as Medicine: Applying the Wisdom of Traditional Chinese Medicine to Heal on her website. VIP ticket holders get a 30% discount on Angela's e-course: Food as Medicine - Understanding the magic of TCM nutrition and how to customize foods for your body type. Here are the courses' details. Get your VIP ticket now to access your coupon code.